All good things must come to an end... After a while even the best of cars will run out of gas. That's the story with the WBS Pens, who conceded a 3-1 lead in the 3rd period and dropped their first game of the season. The Pens had one bad period defensively and the Crunch capitalized on it, and it's as simple as that. The frustrating part is that the Crunch got their comeback goals on essentially the same play. Backdoor coast to coast passes across the front of the goal seemed to be the trend and each time it left half of a net for the Crunch shooter to score. Syracuse was able to take advantage of this situation twice in just over a minute to tie the game up and grab the lead. Syracuse's second goal was also quite frustrating as Brandon McMillan was able to capitalize on a Bortuzzo turnover with a strange shot from the corner boards that deflected its way in. The Pens tried their best to stage a comeback and absolutely bombarded goaltender JP Lavasseur in the final minutes before taking a penalty and losing much of the rest of the game to a penalty kill. 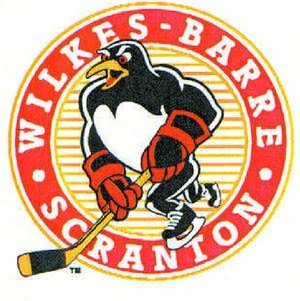 Lavasseur was really the shining star for Syracuse, stopping 42 out of the 45 Penguins shots to become the first goaltender of the year to beat WBS. Brett Sterling was one of the bright spots for the Pens, scoring 2 goals and finishing a +2. His first goal was pure effort on a hard wrap-around shot that snuck past Lavasseur's pads and his 2nd wasn't really intended to be a shot but it found its way into the net anyways. Tim Wallace scored the other goal for WBS which was set up by some great powerplay work by Chris Conner. This is quite disappointing, but we all knew it had to happen some time. I guess the motto is "when one streak ends, start another." Tomorrow would be a good time to start.